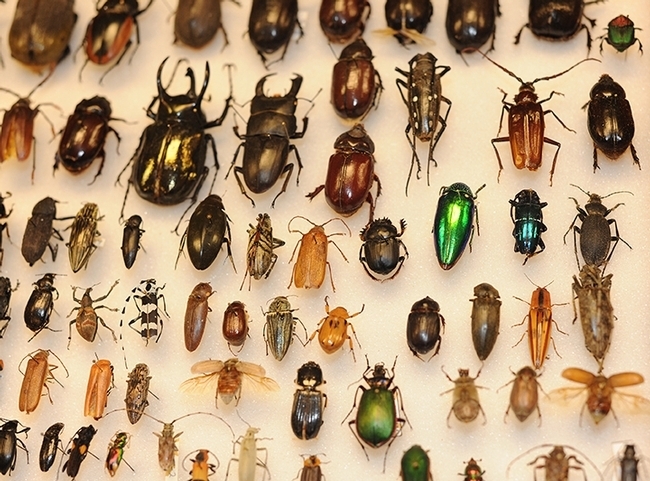 You don't have to travel the world to see insects. 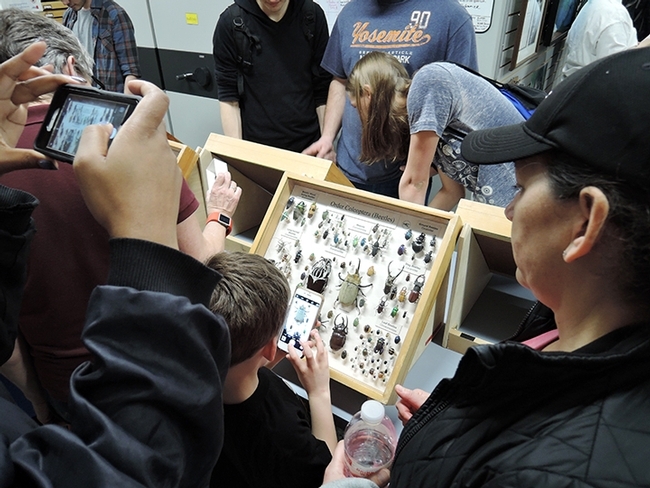 You can see them at the Bohart Museum of Entomology during the campuswide UC Davis Picnic Day, set Saturday, April 13. 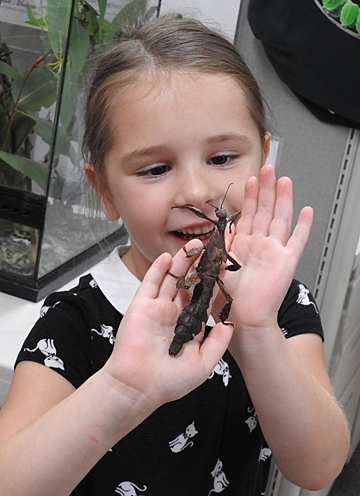 The theme is "Will Travel for Bugs: The Bohart Museum of Entomology's Collections From Around the World." The Bohart Museum, located in Room 1124 of the Academic Surge Building on Crocker Lane, will be open from 11 a.m. to 2 p.m., a change from last year's hours. The shorter hours will allow the Bohart Museum folks to help with the UC Davis Department of Entomology and Nematology's displays at Briggs Hall and the “Black Widow-on-Parade” entry in the UC Davis Picnic Day Parade. There's also something special about this year's display at the Bohart. 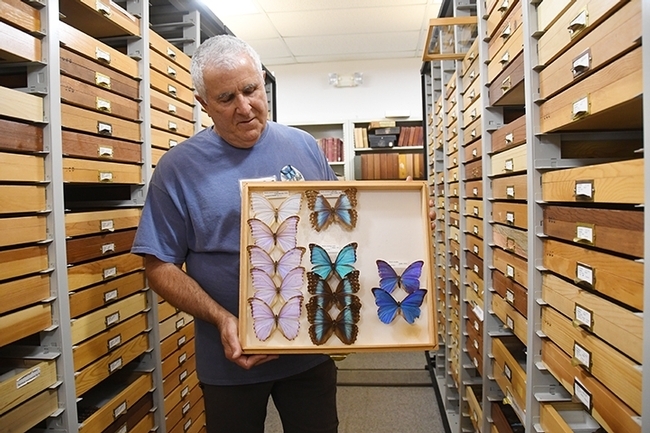 Its exhibit, "Will Travel for Bugs: The Bohart Museum of Entomology's Collections From Around the World," has been nominated for the Planet Earth Award. "Visitors will have the opportunity to vote for their favorite exhibits in five award categories," according to Madhuri Narayan, UC Davis Picnic Day exhibits director. A QR code, linked to the voting survey, will be displayed at the museum. Or folks can vote here from 8 a.m. to 10 p.m. April 13. The prize for earning the most votes? "An awesome certificate and bragging rights," Narayan said. Briggs Hall. At Briggs Hall, home of the UC Davis Department of Entomology and Nematology, the honey tasting booth has also been nominated for a special award. The Honey tasting is being organized by Extension apiculturistElina Lastro Niño. Briggs Hall will also offer maggot art, cockroach races, a bee observation hive and displays featuring aquatic insects, forensic entomology, and ants, among others, according to co-chairs forensic entomologist Robert Kimsey and doctoral student Brendon Boudinot. The Bug Doctor, the UC Statewide Integrated Pest Management Program, the Sacramento-Yolo Mosquito and Vector Control District, and the Davis Fly Fishers will staff booths. Also planned: insect face painting, t-shirt sales and a bake sale. Both the UC Davis Entomology Graduate Student Association, headed by president Boudinot, and the UC Davis Entomology Club, advised by Kimsey, will participate in the day's events. Bohart Museum. The Bohart Museum, directed by Lynn Kimsey, professor of entomology at UC Davis. was founded in 1946 by UC Davis entomologist Richard “Doc” Bohart (1913-2007). It is the home of nearly eight million insect specimens, plus a year-around gift shop and a live "petting zoo" that includes Madagascar hissing cockroaches, stick insects, tarantulas and praying mantids. The gift shop is stocked with books, jewlery, t-shirts, insect-collecting equipment, insect-themed candy, and stuffed animals.